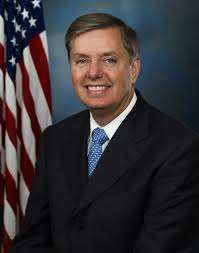 Amid the increasing public scrutiny being given to the mega-donor practices of US online-gambling foe Sheldon Adelson, comes confirmation that US Senator Lindsey Graham (R-South Carolina), will soon be resubmitting his version of the Restoration of America’s Wire Act. RAWA, as it’s generally known, would attempt to remove state-level control over online gambling in the US, in the process wiping out the the regulated online-gambling industry that’s already operating in three US states, with more considering the notion. Both Graham and US House of Representatives counterpart Jason Chaffetz (R-Utah) originally submitted RAWA for Congressional consideration last year. After those submissions failed to advance from committee before the end of last year’s session, Chaffetz recently re-submitted RAWA in the House. Lindsey Graham does his benefactor’s bidding by agreeing to re-introduce a federal bill seeking to ban online gambling. Graham is now poised to do likewise, according to his communications director, Kevin Bishop, as quoted in a recent Time Magazine feature on Adelson. The latest feature covers familiar ground, examining Adelson’s massive campaign contributions to those DC politicians who will do Adelson’s bidding, though its look at some possible darkhorse Presidential candidates contains a mild surprise or two as well. In “The One-Man Las Vegas Presidential Primary,” Time recounts how the majority of prospective GOP candidates are journeying to Nevada, to meet with Adelson, in the hopes that he might bestow upon them some of the riches with which he funded 2012 GOP candidates. Time pegs Adelson’s contributions in that election cycle at $150 million — it was at least that — and the pols are back, looking for more. The potential for a long, deep-pocketed campaign also has candidates courting Adelson who otherwise might not get involved, but who already have access to the Las Vegas Sands CEO. The piece cites both Lindsey Graham and George Pataki as considering a run; both are doing Adelson’s RAWA bidding as well. While Graham’s current run as a South Carolina senator is well known, Pataki’s possible return comes about solely because of his association with Adelson. The former New York governor is now well entrenched as a lobbyist, including being one of the lead faces of Adelson’s Coalition to Stop Internet Gambling (CSIG) group. It’s even possible that Pataki could run as a show pony, simply to draw more attention to Adelson’s pet cause. Separately, the controversy that the controversial, anti-federalist RAWA measure is causing continues to draw protests from both liberals and conservatives. As the original RAWA was being considered last December, in Congress’s lame duck session, Lindsey Graham himself received protests from his own side of the aisle. Time and other sources have now published a letter from Mississippi Senator Roger Wicker to Graham, which protests how RAWA would affect states’ rights regarding gambling matters. Wicker, of course, comes from the US South’s most pro-gaming state. Mississippi has repeatedly seen bills introduced to consider the regulation of online gambling, though none of those bills have received serious attention to date. The state does boast several large casinos, both along the Gulf Coast and upstate, in the Tunica area. Similar headwinds as that exhibited in the Wicker letter are likely to resurface once Graham reintroduces his RAWA bill in the Senate. Though Adelson himself has increased his focus on Washington, the RAWA measure’s real impact is still likely to prove far too odious for most politicians to handle. And in the long run, that fact remains the online gambling world’s best hope. This borderlines on criminal behavior. The purchasing of favors on either side of the aisle is an offence much much worse than what RAWA represents.